When it comes to shipping artwork, whether it be across town, across the country or shipping artwork overseas; the packaging of artwork is serious business. About a decade ago I invested time in searching out options for protecting and shipping my paintings. There are many options available, from reinforced cardboard shipping boxes to wooden crates and aluminum crates. I found my ideal solution for art shipping in VEVEX Crates. VEVEX makes crates for demanding cargos, and fine art is a specialty of theirs, which is why I confidently call on them anytime I need to ship my work across Canada, the United States or overseas to galleries in London. Last year they celebrated making their 10,000th crate and they have many more to build. From antique Raven Totem Pole’s being repatriated to Haida Gwaii, monumental photographs by Ian Wall to galleries overseas or The Artwork of Brandy Saturley to galleries in Toronto; these crates are one-of-a-kind custom works themselves designed to protect the fine artworks stored within. 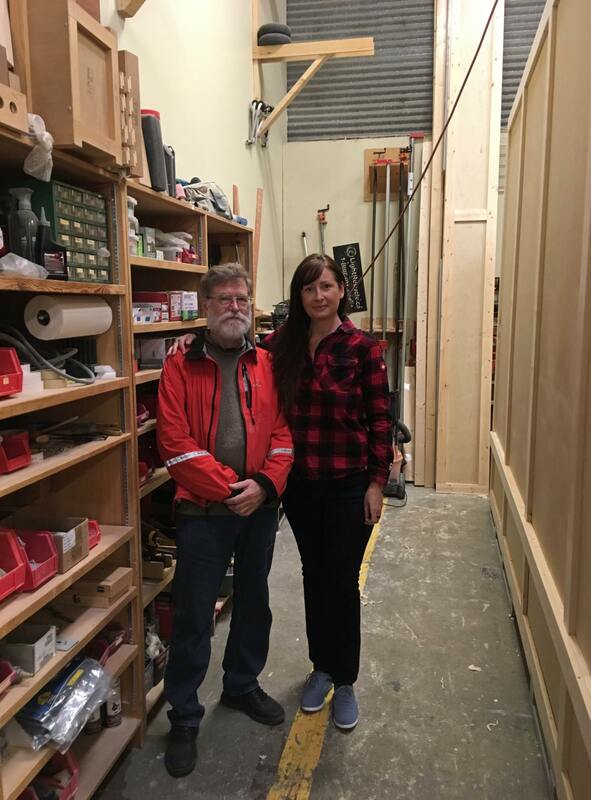 We recently popped into VEVEX crates to visit CEO and head engineer, Rod Russell. 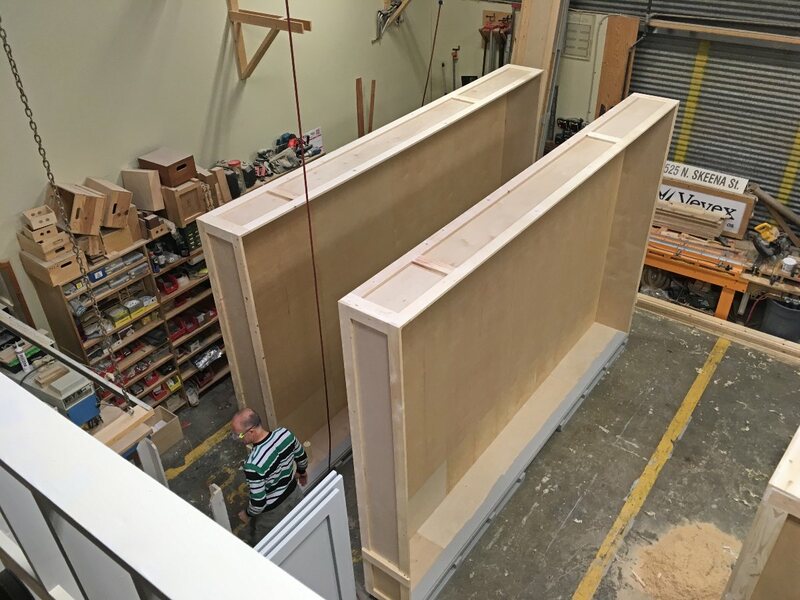 We were excited to see two monumental crates being built for an upcoming exhibit of Ian Wall’s photography in galleries in London and Australia. Here are a few photos inside the shop where Brandy Saturley’s art crates are made in Vancouver, BC. Maximum protection for artwork from penetration, jarring, vibration, crushing, thermal changes and moisture. 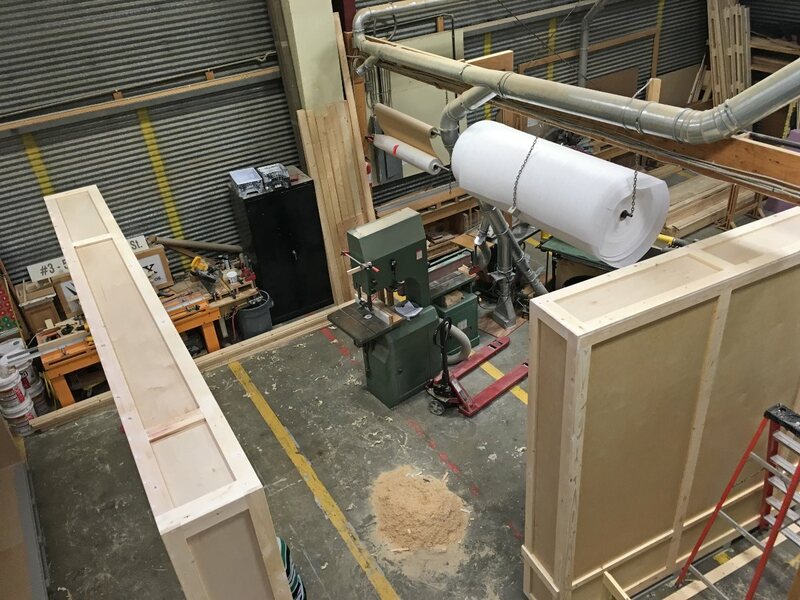 Boxes have thick walls and additional framing, making for a very robust box that will stand up to repeating handling, storage and re-use. Providing the maximum in protection for customers that are highly risk-averse, such as fine artists and art museums. Boxes have bolted lids and can be top loading, side loading and platform loads are accomplished through separate designs. Lids are provided with compression seals. Boxes are sealed with a satin outdoor wood finish, or painted. After receiving my crates, I paint the exterior with The Art of Brandy Saturley branding and logo, including signature colours of white, red, black and gold. When you buy a painting from The Art of Brandy Saturley, you can feel comfort knowing your precious original piece of Canadian art, will be protected from weather, handling and transfers between couriers. Boxes are lined with 3/4″ thick expanded polystyrene foam. Lids are secured with Unidrive screws, accepting both Philips and Robertson drivers. Next time you find a new painting to collect, rest assured you will receive your artwork safely and securely inside a handsome crate that can be kept to store for future, or can be recycled into many uses. Find a beautiful new artwork to put in that crate, now.